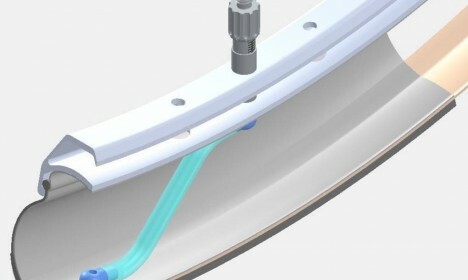 Using the rhythmic compression of a tire rolling over the ground, this new product from PumpTire provides a tube that can be swapped into any tire and keep itself inflated, providing efficiency, flexibility and reliability (since pressure can be a factor in busting tubes). A mechanism regulating tube pressure sense the need and turns on or off as required, keeping your tube at optimal levels while you ride, which means: nothing for you to worry about before or getting onto the road. Expert users can even set their own custom target pressures as desired. The original version of the PumpTire was an integrated system, meaning: you had to use their entire tires to make it work, and when they wore down, the whole combination had to be replaced. 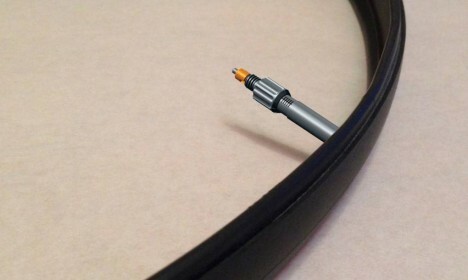 This new version will work with different types of tires, meaning you only have to replace the tube. And, of course, it means you don’t have to buy a separate pump to inflate your tires. See more in Bikes & Cycles or under Transportation. December, 2015.